Milon in Washington DC: Explore and enjoy! No news flash: I like to explore things. So Monday evening, I said to my roommate that I would be up for a long, long walk. She agreed and we jumped into our running shoes. Good choice of footwear, it turned out. 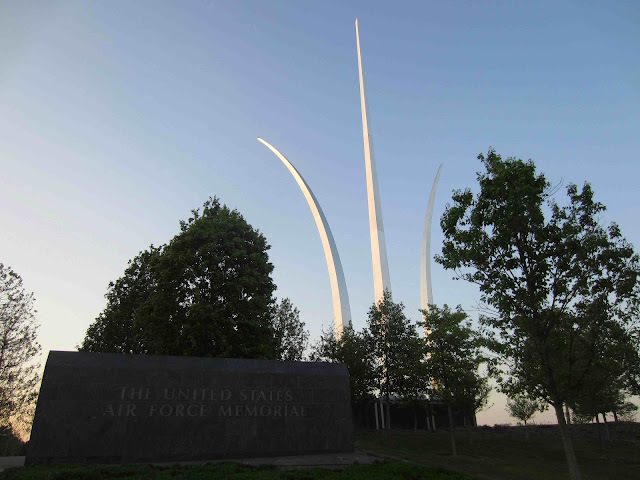 We started by visiting the Pentagon Memorial and continued by walking up to the Air Force Memorial. After absorbing the wow factor view, we just kept on walking. And walking. Until we both agreed on the fact that we were completely lost. The sun had gone down, but it was still warm, we were thirsty and had neither money nor phones or metro cards. What do you do in a moment like that? When you have lost all sense of orientation and there's nobody around to ask for directions, because you're apparently on a route that's not heavily trafficked by pedestrians. Well, you simply keep on walking. And we did. While laughing so much we were in tears. Two and a half hours later, we threw ourselves over a bottle of soda and laughed even more. 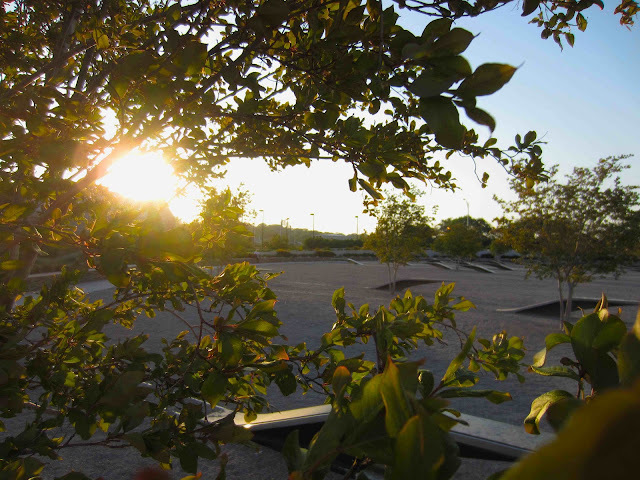 And what I wish to say with this story is: Go out and explore your neighborhood, it might be a lot of fun! However, it all started out with a serious and respectful moment. 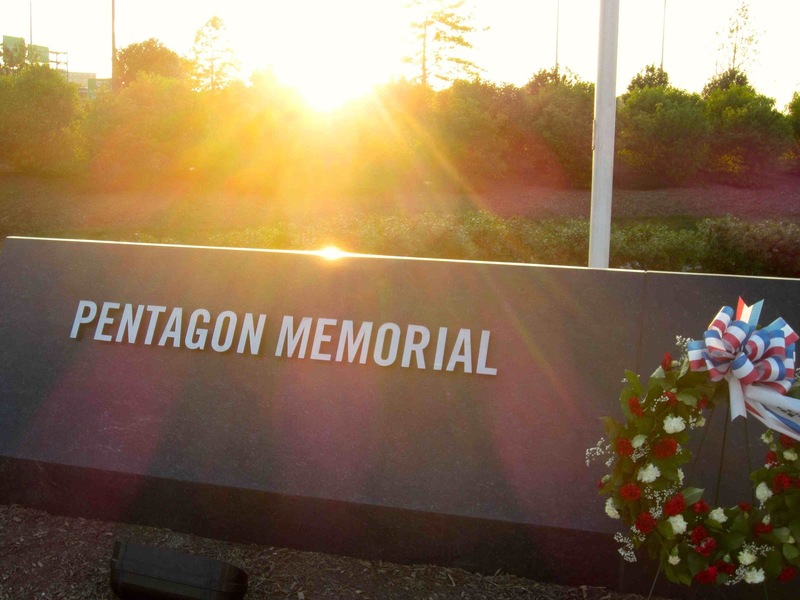 Pentagon Memorial – the only place around the Pentagon area where cameras are allowed. Worth the visit for the wonderful view.